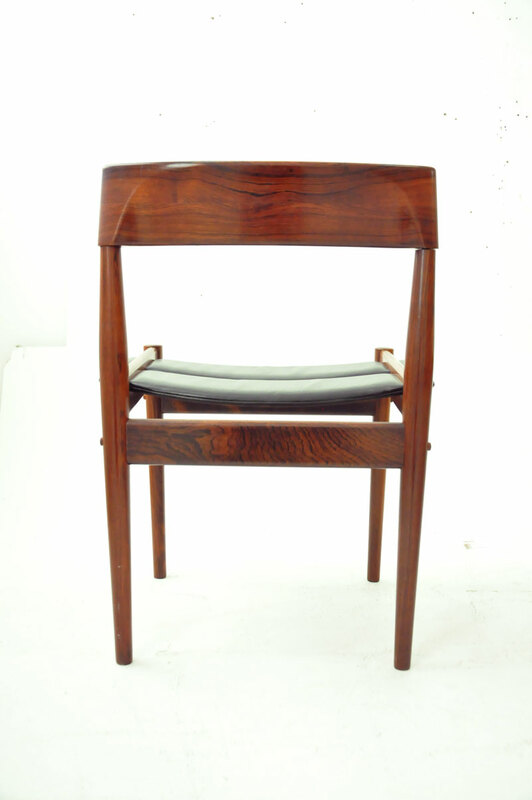 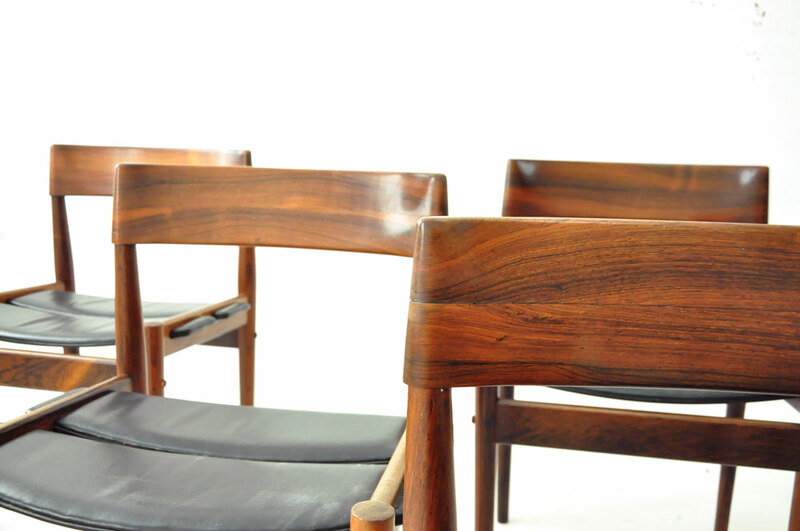 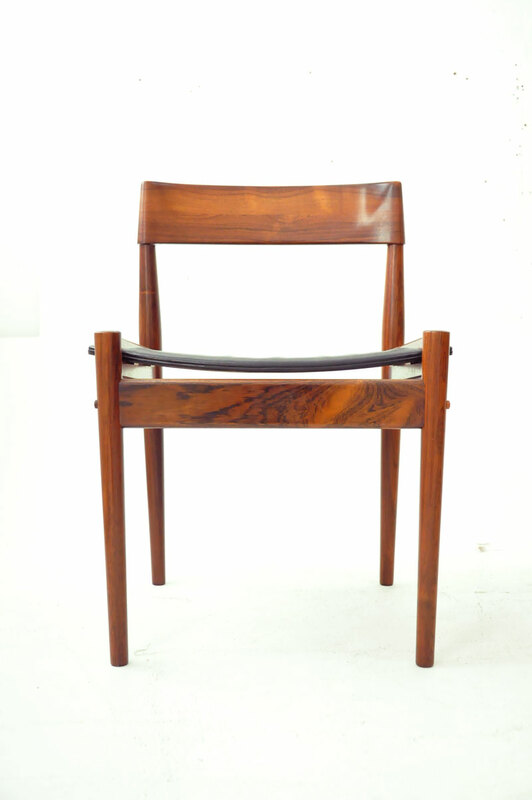 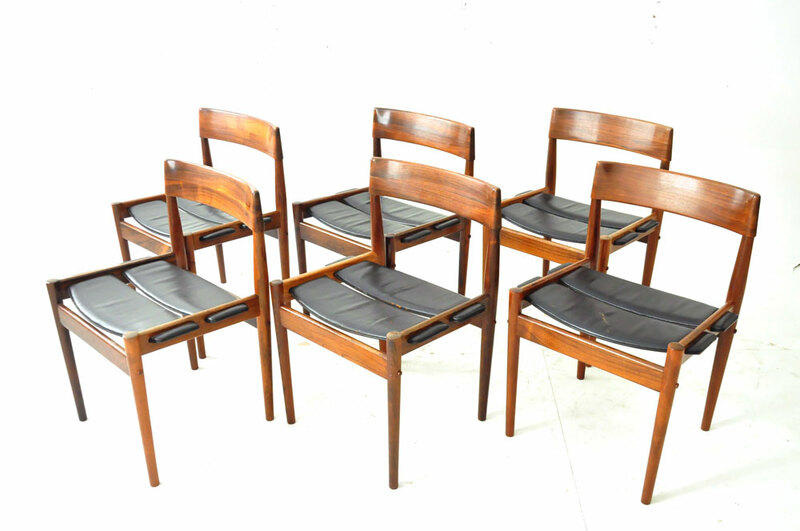 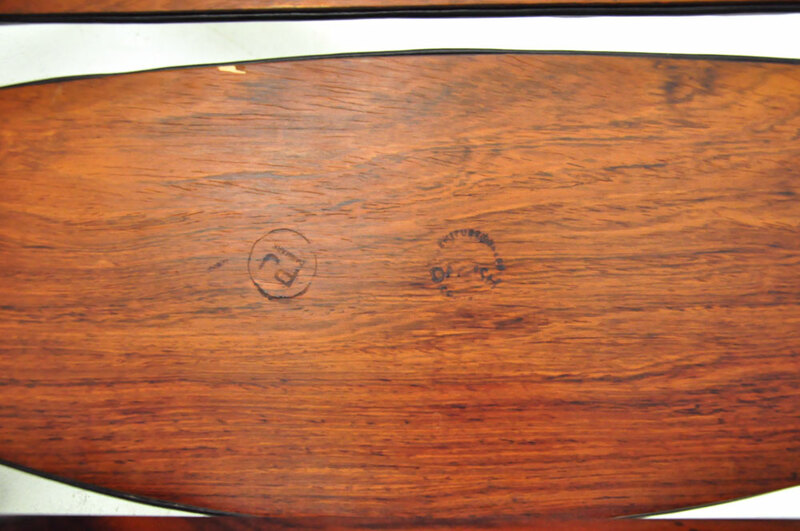 GRETE JALK vintage set of 6 rosewood dining chairs with original black leather upholstery. 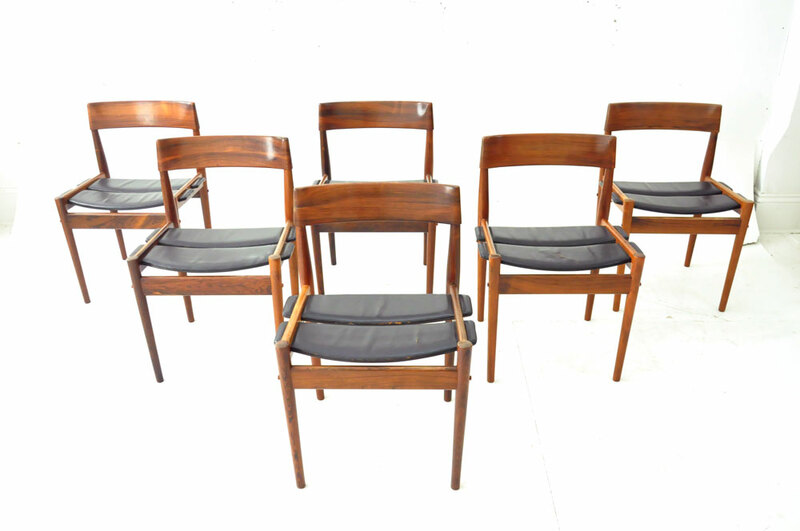 This complete set of 6 side chairs has been in single ownership since they were purchased in 1964. 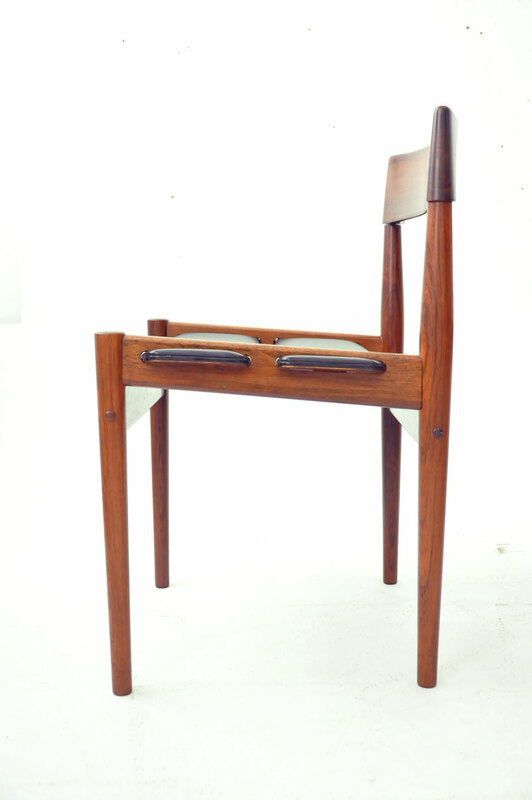 Based on rarity and condition. 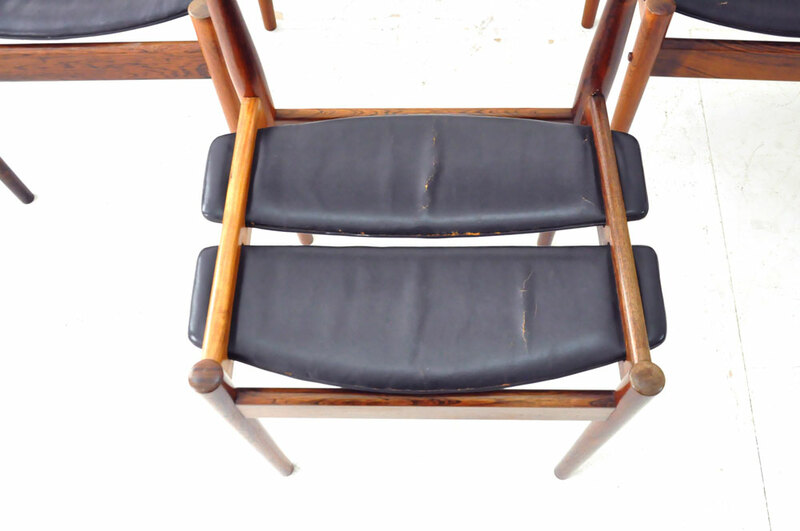 Chairs are all branded with P JEPPESEN logo and Danish furniture control board.